I am such a wally!!!!!!! Why am I a wally?? Well because I just sat down to write an update post to only realise that I didn't actually publish the last post that I wrote....so you are going to get two for one here. It makes it a little lengthy but I hope you enjoy!! 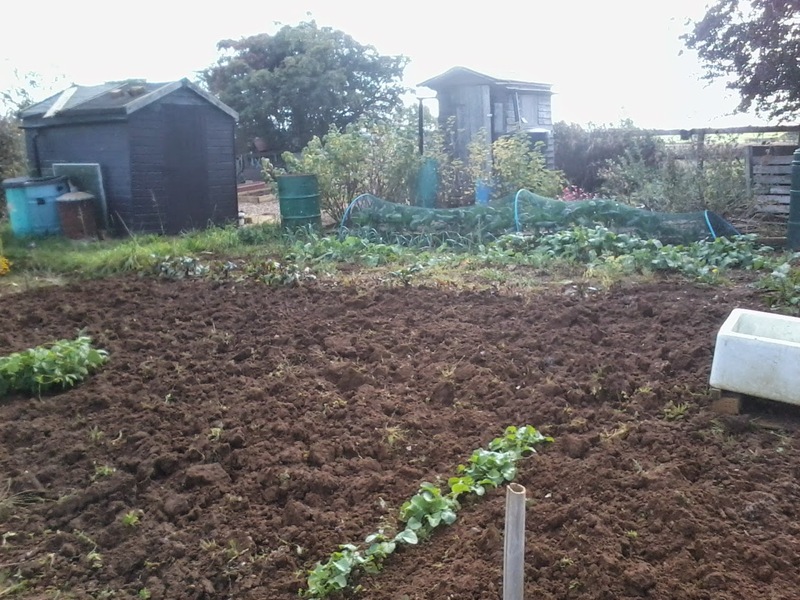 I Finally got to the allotment!! and believe me when I say it looks like that EVERYWHERE!!!! Because I knew I had so much to do I got up well I would like to say bright and early but we have got to the time of year where it's now dark again at 5am!! So anyway I was up early to get a few things sorted at home, get some washing done and then by 7am I was across the fields with a very happy Trojan. We had a lovely walk and when I got home my first load of washing was about dry. BONUS!! Needless to say I sheltered in the greenhouse for a while as it was pretty heavy for a time. 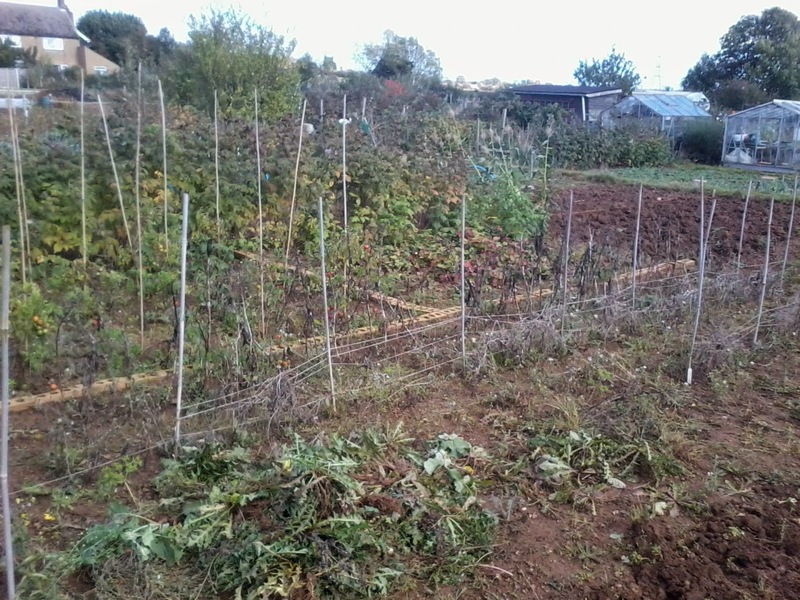 It did ease off eventually and I did get a little of the weeding done but not nearly as much as I would have liked. So that was Saturday done and dusted with very little in the way of work done but I did get to spend some time curled up with my book so it wasn't all bad. Well that's it for now...but I have plans to catch up with everyone this week and try and get you all caught up on what's been happening my end so watch this space!!! So this was going to be todays post...I have decided under the circumstances to keep it brief and to the point!! It was a beautiful day today....quite warm. very little wind, blues skies. Now don't get me wrong there is still LOTS more to be done but I made a nice dent it in today and though tired and a little achy I am very satisfied with todays achievement!! Here's hooping the weather men have got the forecast for the weekend wrong whilst I'm on a roll!! My work is still plenty cut out for me Ann...still lots more to be done unfortunately. It's so hard to reclaim ground from weeds. It makes me want to beg to go back in time and do a better job keeping up...but would I? Probably not! I usually don't let things get this bad...having said that though...it kind of makes it all the more satisfying!! So a bogof! You made quite a difference in such a short time. I think you can make a big difference if you can just spend a few hours there without interruption. Even just an uninterrupted hour can mean a lot of work done Jo. I have to admit to being quite anti-social whilst on the allotment as I do like to really make a dent in things when I get that chance to visit! !